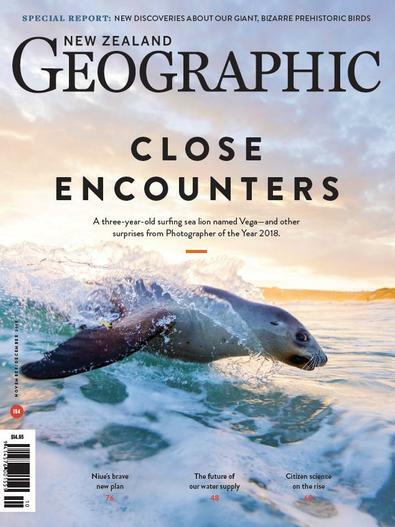 New Zealand Geographic celebrates New Zealand and all its diversity—it's people, places and wildlife. This multi-award-winning magazine is loved by readers of all ages and is renowned for its high quality reproduction, lavish photography and in-depth editorial coverage of wide-ranging subjects—every issue holds a surprise. For two decades it has been the definitive journal of record for New Zealand, bringing its readers stories from the deepest oceans to the stars above their heads, and all the locations and cultures in between.Canon Media Awards 2013 – Best Newsstand Magazine. Awesome magazine showcasing NZ. Great for showing off to overseas guests or just for general interest.